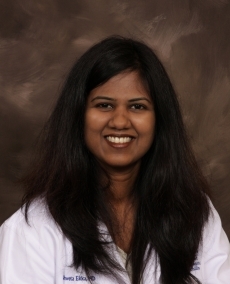 Dr. Shweta Ekka is board certified in internal medicine and has 10 years of experience. Dr. Ekka knew at a young age that she wanted to be a physician. Her passion for internal medicine developed early on in her teenage years and she worked hard to make her goal of being a primary care provider a reality. Dr. Ekka’s patients will discover that she is thorough and empathetic and she is passionate about whole person care. Dr. Ekka treats patients 18 years and older. In her free time she enjoys spending time with family and reading. She speaks English, Hindi and Urdu.